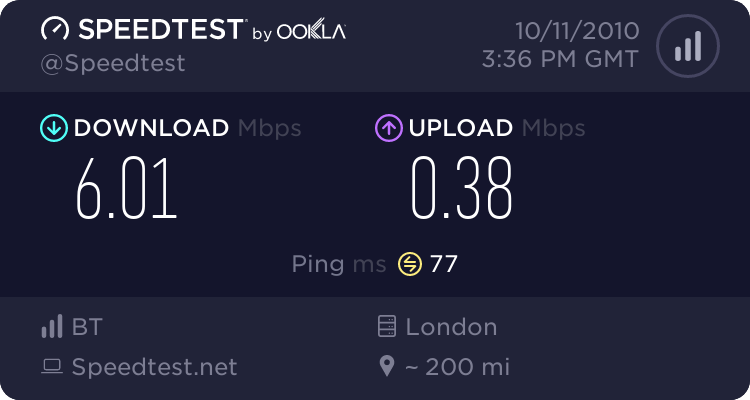 I'm thinking about moving from my current ISP and am looking around the market, I'm currently on an 80/20Mbps FTTC connection. I assume that a move to AAISP would be a straightforward migration using a MAC, hence just the £1 fee and no installation cost? I'd guess that it would also be subject to the 12 month contract that normally goes with FTTC? I think the price you're quoting is for ADSL services..
"Cost for migrating ADSL broadband to us (BT or BE) from another non-LLU provider." I know AAISP aren't cheap, but charging the same price for a like-to-like migration seems frankly excessive... so my hope was that there are simply some inconsistencies in their website price lists. I'll wait to see what someone from the company says. I seem to remember reading somewhere that the FTTC install and FTTC-FTTC migration costs from BT were the same. When I migrated from a FTTC supplier to AAISP on FTTC, my fee was £1. No new installation fee. This may have changed since, it was back last year around April-May. There's no hurry, I won't be doing anything for some weeks at least- I'm just scouting out the territory. As said if wanting the 80/20 you would need the premium option. If you wanted to drop back to 40/10 as you moved in there would be no extra just just the £100 fee. There will be a 12 month contract. Migration should be simple and is 5 to 10 days but we do enter a 5 day lead time.